Having played a tour-high 97 matches last year, Novak Djokovic might seem an unlikely advocate for players' health, but the super-fit Serbian reiterated calls for a shorter tennis season Tuesday. Djokovic, whose Australian Open defence last year ended abruptly in the quarter-finals after he retired with heat exhaustion, said that top players were agitating for a longer break between seasons to preserve their bodies and careers. "We are trying to fight for the players rights and I think it is very important that people understand how we feel," the Serbian World No 3 said. "Listening to the top players, you get the fair point ... (The season) is just too long. And definitely, having five weeks, four weeks ... before the start of the new season is so, so little. "We have to have at least two months and that's the minimum, I mean, considering the season that we are playing and the amount of matches and the level we are playing." Players have been at loggerheads with tour officials for several years over the length of the season, with sponsors and promoters battling to keep their tournament dates in the crowded tennis calendar. 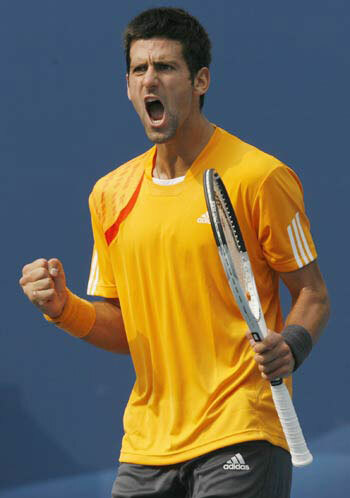 Djokovic plays his first competitive match of 2010 at the Kooyong Classic in Melbourne Wednesday, an invitational tournament seen as a reliable form guide for the Australian Open which starts Monday. The 22-year-old, elected to the ATP Players Council in 2008, said player representatives would meet officials in Australia for talks where they would press their demands. 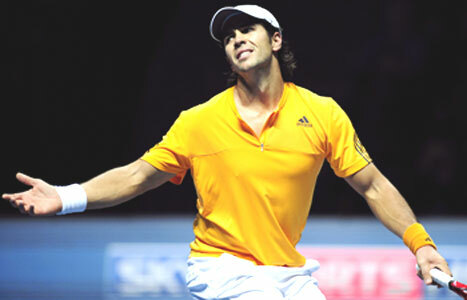 Djokovic was backed by Spanish World No 9 Fernando Verdasco, who allowed himself 10 days' rest before taking a two-week training camp in Las Vegas to prepare for the new season. "I think every player would like to have at least two weeks off and then have more time also to prepare, you know. Not to be in a rush," said the 26-year-old. "I didn't play Abu Dhabi, I didn't play Doha that I was supposed to play because, you know, to finish in the Davis Cup on the 7th (of December) is impossible," the Spaniard said, referring to Spain's 5-0 win over Czech Republic that preceded season-opening tournaments in the Middle East. Djokovic, who allowed himself two weeks' break before plunging back into training, said the punishing calendar had even cut short his acting ambitions. "I got offered to be a part of this show which ... is about the king who is one of the biggest names in our (Serbian) history," he said. "He was assassinated in France - I hate that part. "But for now I'm going to skip it because the scheduling is too busy for me."